My plan for 2011 was to take EuropeCrazy right back to its early days, to publish more regular updates etc (especially as Planet Salem has been on a break). I hate breaking promises, but unfortunately I've had to break this one. Due to other commitments, time restrictions, personal circumstances, health problems etc etc, this hasn't been possible. I need a bit of time out now, so I'm putting this blog on hold for a while. Hoping to be back at the end of September (following my summer holiday). 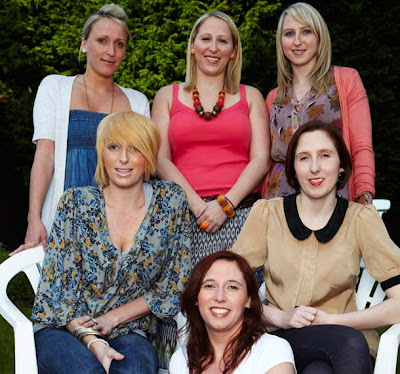 Don't worry, EuropeCrazy is not closing down - I love doing this blog too much! But at the moment I'm just not able to put the hours in to make this blog what it should be. The Swedish TV summer extravaganzas are in full swing. And here's my verdict. 1) I'm loving Måns on Allsång, he's great! He is an absolute natural in the presenting role - and has managed to do the impossible and shut up the Swedish press from their usual critical coverage which we expect every summer. Well done Måns!! Great to see him singing on the show too. It helped that this summer's series started on a high, with Danny and September among the guests. It was also very interesting last week to see Veronica Maggio - Swedish music's woman of the moment - make a triumphant return to the show. I remember seeing her on the show back in 2008, and thinking how uncomfortable she looked! Things have changed so much....Allsång is now the show to appear on, and the hottest acts are queuing up. 2) Best thing about Lotta på Liseberg this year? Swingfly, Christoffer Hiding and Pauline. Fab, fab, fab. 3) Let's not forget about Sommarkrysset: Jedward-mania and Christer Sjogren singing "Bad Romance"! Loving every moment of it. The best thing about summer. OK I'm outta here....have a fun summer everyone and I'll see you all back here in a few weeks. Retro Saturday: EuropeCrazy's Sounds of Summer! I previously mentioned a few of these songs in my Holiday Hit Lists on here but as it's summer, I thought it might be worth revisiting a few of them. A video which caught my eye thanks to very regular play on the Dutch music TV channels during our summer 2002 trip to Amsterdam. K-Otic were one of the first manufactured 'TV bands' from that Popstars-era, and much loved by the great Acer Ben who was one of my biggest blogging influences. Come back Ben, we miss you! I'd forgotten just how much I love this! A totally fabulous tune which (if you're old enough to remember) totally recalls Barry White's 70's soul hits. And if you're not old enough to remember....well just enjoy it for what it is - a great soul/pop song. OK so this isn't a summer holiday song, it's a spring holiday song but I can bend the rules can't I!! This is a nice pop/rock song which got serious amounts of radio airplay at the time. And from what I can guess it's from a film about snowboarding. Now that's not very summery, is it??? At that time this song was best known as the new theme to Star Academy 5; I became obsessed with it and much later it was eventually played to the point of irritation, when I didn't want to hear it anymore. Yet it remains a fresh, feelgood, summery dance anthem, free of any of the dire ingredients which make today's dance music so formulaic and tedious. Long before he reached Eurovision interval-act notoriety, I was watching this on German music channels during my holiday in Berlin and bopping around the hotel room to this extremely funky tune. Two products of the French reality-TV-pop system - from Popstars and Star Academy respectively - duetting on a very fine r'n'b pop song which has stood the test of time. Regular readers of this blog will be aware that every year, on 14th July, a special concert is staged in Bornholm to celebrate the birthday of Sweden's Crown Princess Victoria. (Of course you will also remember that it was at this concert, in 2007, where I saw and heard Salem Al Fakir for the very first time!). The concert is broadcast live on 14.07.2011 on SVT1 at 21:00 Swedish time and will also be available to watch on SVT Play. This year's guest list includes a number of singers/musicians from different musical genres celebrating Victoria's 34th birthday. Swedish pop/schlager fans can look forward to seeing Carola, Eric Saade, Jessica Andersson and Andreas Johnson. Make a note in your diaries....Aftonbladet's annual 'people's music prize' is only a few weeks away. Rockbjörnen - a long-established awards ceremony, where the prizes are voted for by the readers of the top Swedish tabloid - will be broadcast in full from Gröna Lund in Stockholm at www.aftonbladet.se on Wednesday, 31st August 2011, and the highlights of the three hour ceremony will be broadcast on Kanal 5 at 23:00 Swedish time, on Thursday 1st September. Really looking forward to seeing Daniel and September! I know it was screened in May but I didn’t get around to watching the excellent "TWO GREEDY ITALIANS" (BBC2) until last month. Part cooking show, part travelogue, part cultural observation, with lots of humour thrown in. Hope we see a lot more from Antonio Carluccio and Gennaro Contaldoas they make a great double act, with a clear love of their old home country. Another show which I discovered a lot later than everyone else, and which I devoted a previous post to: "NAETURVAKTIN" a.k.a. "THE NIGHT SHIFT" (BBC4). Personnel on the forecourt! Here's hoping that BBC4 shells out some krónur for "Day Shift" and "Prison Shift" but I'm not holding my breath. BBC4’s music documentaries are always well worth watching, and "ANNIE NIGHTINGALE - BIRD ON THE WIRELESS" was no different, despite its trashy title it was just one hour with the Radio 1 legend describing her life in music. A trendsetter, a trailblazer, but still incredibly humble. She is probably one of a dying breed of people to whom the music matters the most - and she is well worth celebrating. Football films are generally a no-go area. So it's very unusual to find a football-themed film worth watching. 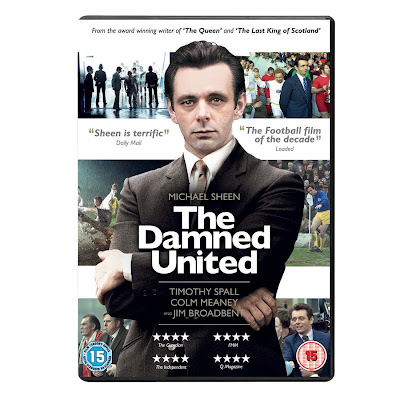 After all the good reviews, I expected a lot from "THE DAMNED UNITED" (BBC2) and it was no disappointment. The always excellent Michael Sheen played Brian Clough, the legendary football manager whose self-belief made him the Jose Mourinho of his day, but self-belief unfortunately wasn’t enough to make a success at Leeds United. A fascinating story, and a great film. No, I didn’t watch the latest series of "BRITAIN’S GOT TALENT" (ITV1) - I didn’t need to, as there were enough people around to tell me what I may or may not have missed. There was some good old publicity-stuntery going on, what with ‘insiders’ alleging that the result may have been a foregone conclusion...of course it wasn’t. 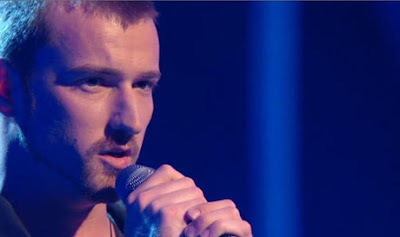 The winner, Jai McDowall, may have looked like a rocker but wowed everyone with his terrific voice which should ensure him success in musical theatre. Well done to him, but why did certain sections of the media have to spoil it by going on about the "Scottish bloc vote" - what do you think this is - Eurovision? And in case they didn't notice, there are only 5 million people in this country, whereas there are almost 62 million people in the UK as a whole. Go figure. Meanwhile over at 5*, "PARENTHOOD" reached the end of season 1, with that great big group hug of an ending. Again, a second season is on the way. I like the show, but the characters all talking over each other is a real annoyance. Even though there's something pretty real about that, so I'll let it go I suppose. Crosby is still a major irritant, and I can't let that go; but I will always love Lauren Graham and she makes the show extra special. Roll on season 2....please please please buy it 5* ! Season 1 of "FAIRLY LEGAL" reached its conclusion with a sacking, a pregnancy and enough loose ends to suggest a second season. Finally, we're in festival season and I'm still wading through BBC's 47,000 hours of coverage of "GLASTONBURY 2011" from a couple of weeks ago. About 46,950 of these mainly consist of irritating presenter links. Just one question: Fearne Cotton - why? Solid Ground - Pnau: smooth, breezy pop from Nick Littlemore's band, and sharing the same irresistible musical characteristics as Empire of the Sun - which he was once a part of. Judas - Lady Gaga: the critics are already airbrushing this one from Gaga history, but it became a Friday night favourite at EuropeCrazy HQ. Now that is an honour. Call Your Girlfriend - Robyn: more exquisite high quality electropop from the queen of ....high quality electropop. Battles (Of The Mind) - Kula Shaker: a long forgotten song from a few years ago, which I only rediscovered again recently and it reminded me just how much I liked them. Very 60s influenced. Kärlekens Tunga - September: her own unique take on the Eldkvarn song, done in her own inimitable style. Higher - Taio Cruz featuring Kylie Minogue: one of the year's most enduring pop songs, and a cert for a good placing in my year end chart. Like Suicide - Christian Walz: another one which I can't stop playing, and which (along with "Me and My Drum") was my favourite MF 2011 song. Rabiosa - Shakira featuring Pitbull: it's catchy, it's silly, it's fun and it's summer. And we'll even forgive her for having Pitbull on it. We are over halfway through the year (it's flying by, isn't it!) and I've started thinking about my year-end chart. The way things are going, I'm going to struggle to put together a top 50 this year. Or even a top 30, come to that. I need to go back to basics, to the early days of this blog, when I did the work and went looking for the music which I wanted to hear, rather than expect it to fall into my lap. I'm going to put more work into this blog in the coming months and hopefully that will bring some much-needed musical rewards.